It's known that Malayalam superstar Mammootty is returning to Telugu film industry with Mahi V Raghav upcoming film titled Yatra. Jointly produced by Vijay Chilla and Shashidevi Reddy, the film is a bopic of late Andhra Pradesh Chief Minister YS Rajasekhara Reddy. Mammootty will be seen portraying the role of YS Rajasekhara Reddy in Yatra. Earlier many media reported the names of Nayanthara, Radhika Apte and Keerthy Suresh as the frontrunners to essay the role of YS Vijayamma's role in the film. 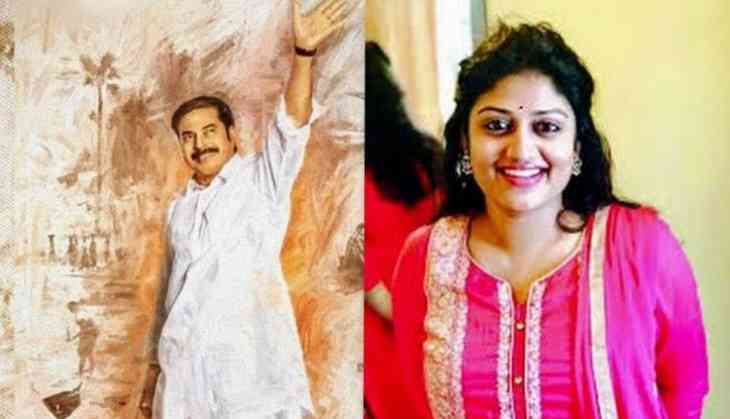 And now, it has been confirmed that popular Bharatanatyam and Kuchipudi dancer turned actress Ashrita Vemuganti will play the female lead in Yatra. Ashrita, who is known for her brilliant dancing talent essayed a supporting role as Anushka Shetty's sister-in-law in SS Rajamouli's Baahubali 2 as well. She has been praised for her dance sequences in the song "Kanna Nidurinchara" in Baahubali 2.